Spotify has been the king of streaming platforms for many years but that could change very soon, at least in the U.S. 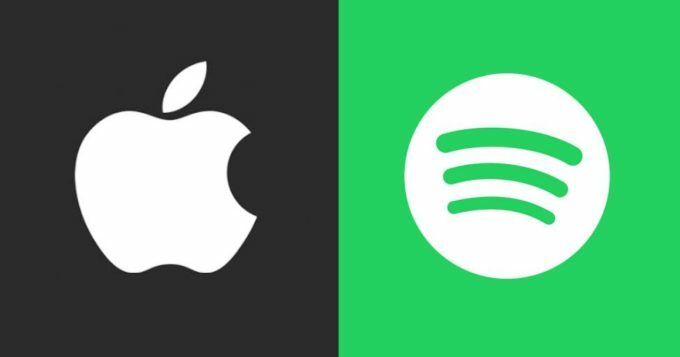 The Wall Street Journal has obtained some figures from industry insiders which suggest that Apple Music is growing faster than Spotify in the U.S., adding 5 percent to its subscriber base every month versus 2 percent for Spotify. If those rates continue to hold up for the next few months, Apple Music will overtake Spotify by this summer. Apple Music currently has approximately 36 million paying subscribers which is more than the 30 million that Jimmy Iovine had previously claimed last September. Neither Spotify nor Apple Music reveal their country wise breakdown of the subscriber base so it’s not clear how many of the 36 million are from the U.S. Spotify has about 70 million subscribers. There could be several reasons behind the faster growth for Apple Music. The company continues to be dominant in the Smartphone market, holding about 45% share in the U.S. with the Apple Music service running seamlessly on the phones. Apple is a much bigger company too so there are more advertising dollars at their service. The music exclusives from time to time have also helped the brand. Spotify is said to be planning its initial public offering. They filed IPO documents in December with aims to start trading by the end of March.